According to a letter of denunciation issued by the People’s Party of Palestine, the president of the Parliamentary Group of the Die Linke party, party of the “left” in Germany – a party that has a leading role in the European Left Party (ELP) – in a recent trip to Israel visited an Israeli settlement and “planted trees”(!!!) sending a message of support for the long-lasting occupation of Palestinian lands and embellishing the Israeli crimes against the Palestinian people. 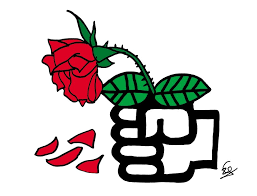 It is a conscious act that once again proves that Die Linke and the rest of the opportunist parties of the ELP put on the “mask” of progressiveness in order to deceive the peoples but in practice follow the dangerous politics of serving the bourgeois class, the European Union (which is now upgrading its relations with Israel), and imperialism’s plans. 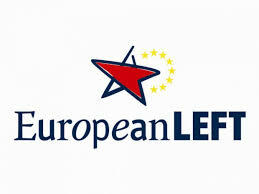 The European Left Party (ELP) has supported the imperialist intervention of the USA, of NATO, of the EU in Libya,. It supports the imperialist pretexts for the war in Syria. It is a party that takes part in the anti-communist campaign in various ways and goes hand in hand with the most reactionary forces to distort the historical truth against socialism, against the Soviet Union and the other countries of socialist construction. 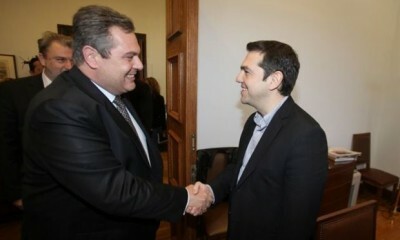 In Greece, the SYRIZA government (SYRIZA being a distinguished member of the ELP) concedes everything to the USA, NATO and the EU: military bases, earth, sea and air for imperialist interventions and wars. Twot days ago it provocatively supported the dangerous resolutions of the NATO Summit in Brussels and it ontinues to sloganeer in order to obfuscate the dirty role that it plays! The SYRIZA government upgrades the military, political and economic cooperation with Israel, covers up the crimes of the occupation forces, denies recognition of the Palestinian state while at the same time dares to use slogans in favor of the Palestinian people in order to hide its inside dirty role! They do all the dirty work in service of the plans of imperialism. PreviousCorrecting the Record: What Is Really Happening In Nicaragua?